With majorities in both houses of Congress and control of the White House, Republican lawmakers have been quietly advancing a series of bills that would limit employer liability in many different types of lawsuits. They fall under the broad legal umbrella of what’s known as tort reform, measures designed to limit who can file lawsuits or how high the awards can be. The Innocent Party Protection Act would automatically shift certain types of lawsuits from state to federal courts, which are generally viewed as less friendly to plaintiffs. The Fairness in Class Action Litigation Act would restrict membership in class actions to plaintiffs who “had an injury of the same type or scope.” The law’s class membership restrictions could potentially affect class-action lawsuits against employers. Critics of the Fairness in Class Action Litigation Act claim that companies with cultures that tolerate sexual harassment could avoid class actions by restricting class membership to women who were harassed in the same way by the same manager. The House is still mulling the Lawsuit Abuse Reduction Act, which would give judges greater power to sanction lawyers who file suits later deemed to be frivolous. Critics argue it would have a chilling effect on even legitimate litigation. The latest attempt at medical malpractice tort reform is the Protecting Access to Care Act that would limit noneconomic damages, such as pain and suffering, to $250,000. 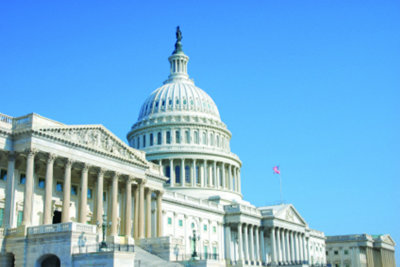 No date has been set for a vote on Protecting Access to Care Act. Advice: As business-friendly as most tort reform laws are, they don’t immunize employers from litigation. Your best bet, as always, is to focus on preventing lawsuits by training staff and being alert to liability risks.